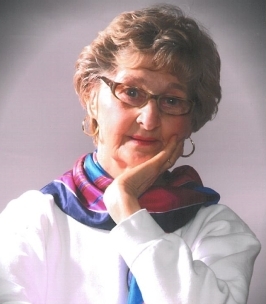 Doreen Fryer Service Details - Emo, Ontario | Northridge Funeral Home Ltd. It is with great sadness that we announce the passing of our mother, grandmother, and great-grandmother Doreen Esther Maria Fryer (nee Nomeland) on Saturday, November 24, 2018. She leaves to cherish her memory her daughter Doneen Moran of Calgary, Alberta; sons Jonathan Fryer (Sonya) of Highland Park, Ill and Ron Fryer (Lorina) of Fort Frances, On. ; grandchildren Aidan Bagnall (Kevin), Liam Craig (Kevin), Shanleigh and Kassidy Fryer and Conor Fryer and great-grandchildren Angela, Hannah, Jordan, Amelia and Skye. Also surviving is her sister Linda Davidson as well as numerous nieces and nephews. Doreen was predeceased by her husband Robert (Bob) Fryer, her parents George and Elsa Nomeland, her sister Vivian Biletsky and brothers Ernest, Gerald and Marvin Nomeland. Doreen was born in Rose Valley, Sk in 1934. She lived with her family in Archerwill, Sk until 1946 when they moved to Flin Flon, Mb. She was always involved in sports and participated in many throughout her life. After high school Doreen attended Victoria Hospital nursing program and graduated as a registered nurse in 1956. She began her nursing career in Flin Flon before moving to Fort Frances in 1957 where they raised their family and lived until her passing. Doreen paused her nursing career as her three children where born and eventually returned to work at LaVerendrye hospital in various part time positions. Eventually she returned to full time as teacher and director of the school for practical nurses where she remained until her retirement. After retirement Doreen and Bob spent several winters in Arizona where she enjoyed sports activities and bridge with new and old friends. Doreen was very proud of her children, grandchildren and great-grandchildren. She attended many of their activities over the years and, until recently, could be seen or rather heard at the arena, soccer field and gymnasiums when they played. A memorial service will be held Friday, November 30, 2018 at 1:30pmat St. Mary’s Roman Catholic church in Fort Frances, Ontario. Honorary pallbearers are her grandchildren and great-grandchildren. In lieu of flowers memorial donations may be made to ALS society or Riverside Foundation for Cancer c/o Northridge Funeral Home, Box 89, EMO, ON P0W 1E0. To plant a tree in memory of Doreen Esther Maria Fryer (Nomeland), please visit our Heartfelt Sympathies Store.